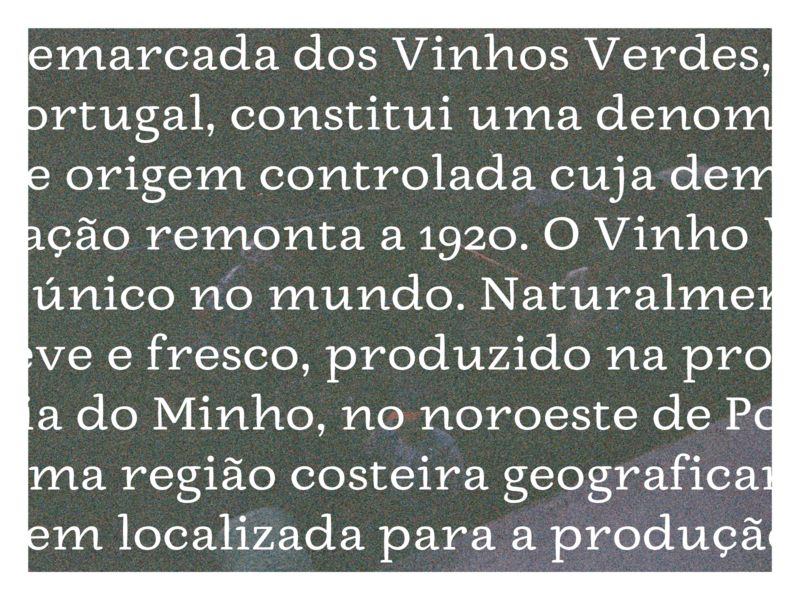 Émigrant Serif is a typeface designed for small wine companies in Portugal. My experience working on the vineyards made me think about this project in a more particular perspective. 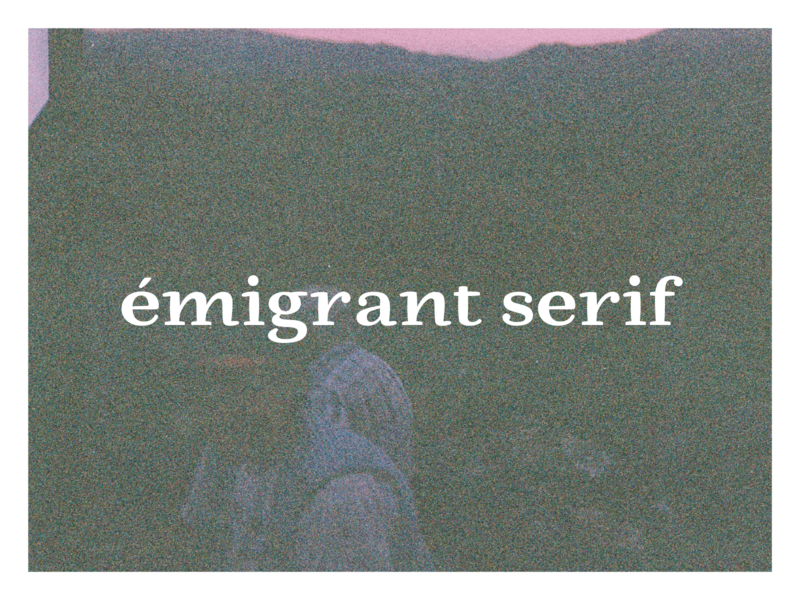 Émigrant is suitable for all elements used in these small companies – identity, merchandising, labels, bottles, woodboxes. 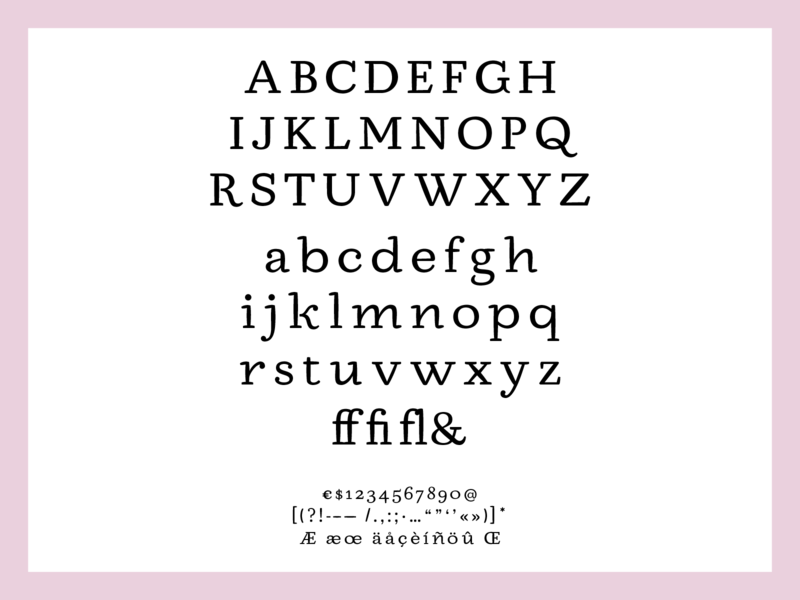 Although we firstly started working with broad nib pen, I was already looking for a typeface with vertical axis. By then, I started working on some words with pointed pen in medium, small and very small size. This path allowed me to create an interesting low contrast calligraphy that would lead me to my final project. After going through the scanner, the tracing paper, many trials and some influences from the books about Typefoundrie, I started creating some cool shapes on the screen. At this stage, the guests were very important to me. 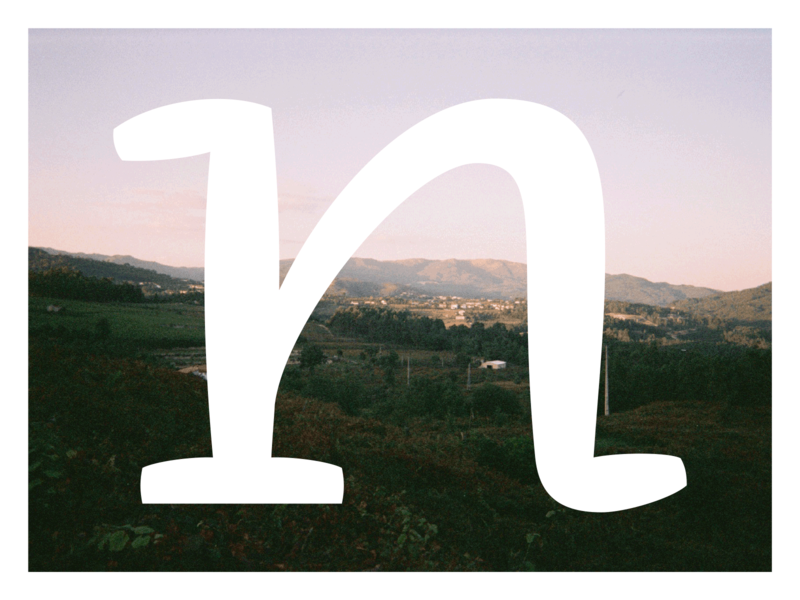 Peter Bilak and Alexandra Korolkova gave me very important advices to solve detail issues on important letters as “n” and “p”. When the main character set on the Regular was ready and working well on text, I decided to work on something darker. 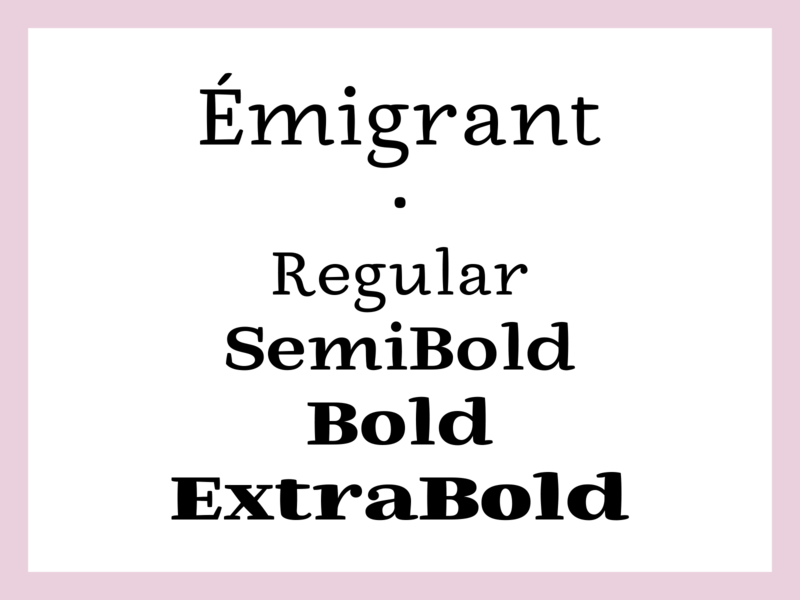 ExtraBold was my choice once I would use it later to interpolate. 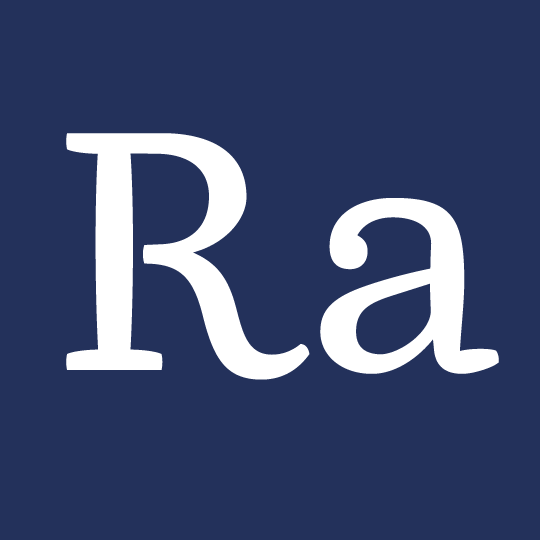 I quickly designed the upper and lowercase on this weight and found Bold and SemiBold as instances. Lucas was a very helpful hand too. Although I was on the final week, I wanted to work on a stencil version from another instance (between Bold and ExtraBold). It was a part of my initial brief and I thought it might help me seeing my design in a different perspective. It is still a work in progress, but the latest version was fitting as I was expecting on some label simulations. In the last hours, Julien and Mathieu’s help was precious to finish a cool decorated version of my ExtraBold. 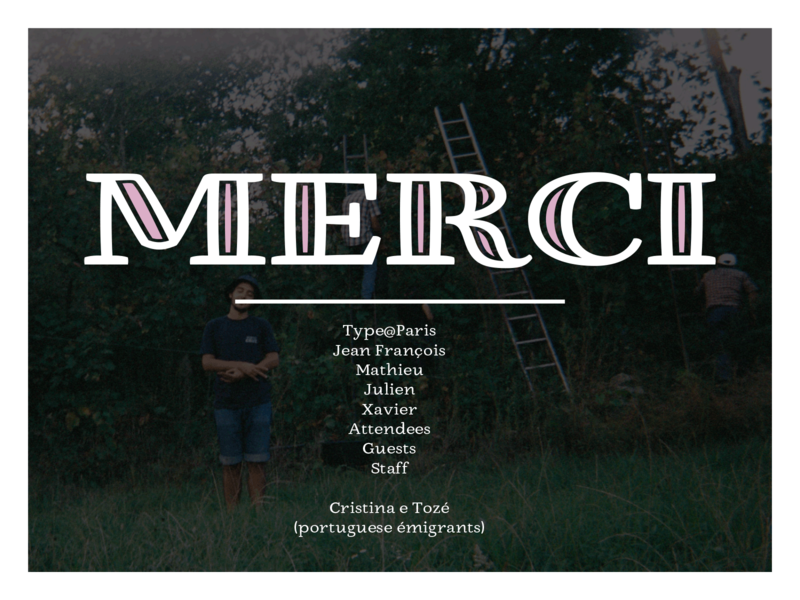 The name Émigrant is a tribute to all the Portuguese emigrants that came all the way from the depths of our countryside to Paris and other French cities in the early sixties. A special dedication to two of those emigrants that made me feel so welcome during all my stay in Paris. Obrigado Cristina e Tozé. TypeParis was an incredible experience for me. Everything I learned was so important and valuable to me as a designer. A big thank you to the people (attendees, guests, speakers and staff) I met during these 5 weeks, you made this even better and exclusive. Special thanks to Jean François Porchez, Mathieu Réguer, Julien Priez and Xavier Dupré for these incredible weeks.